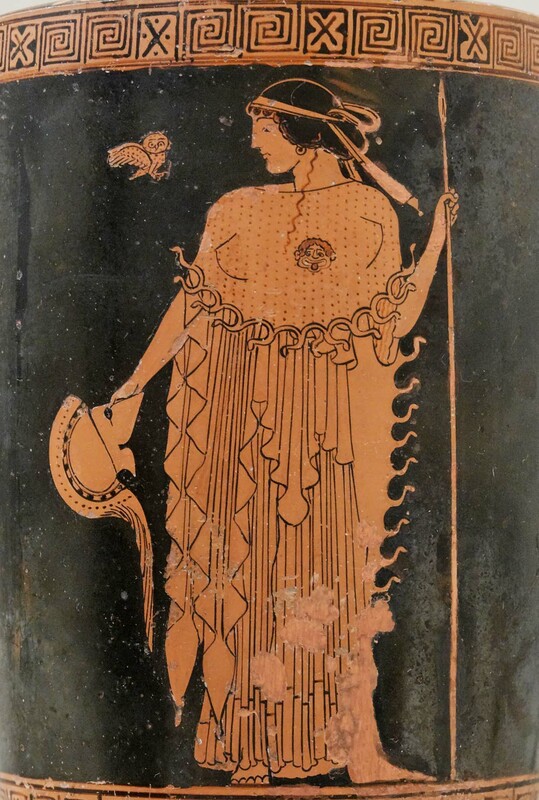 The Goddess Athena and a little owl. 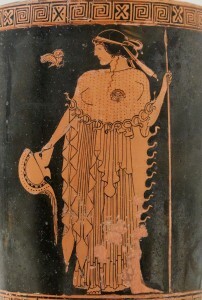 Athena holding a helmet and a spear, with an owl. Attributed to the Brygos Painter (circa 490–480 BC). Metropolitan Museum of Art.